I feel that every single book we all read has a lasting effect and impact on us as an individual in some way no matter how subtle. However, some books have more of impact than others and some I really thank for changing my life in one way or another and those I would like to share with you. This book I read in year 11 at a time when I wasn't expecting to need it as much I did. Honestly, it wasn't my favourite book I've read but the premise of one character also, ironically called Sarah, remind me of myself a little; I don't whether it was the shared name or what but something drew me to her side of the story. The message I got my the end of the book was one that's stuck with me. It's one that says no matter how hard things might become, don't waste your life. You've got only so use it well. It was basically a literary #YOLO but the way the book put it was just perfect. If I read it now, maybe the impact would have been a lot smaller but, at the time, it was just what I needed to read. I'm not going to rabbit on about this one. You know, due to how much I talk about it, the extent of my love for this book is endless. Moral lessons it didn't teach me anything really expect for that even action has an effect and sometimes the outcome is uncontrollable and that's something we have to accept. It also was a big point as to when I realised not just my love of reading but also writing. While anything major I've tried to write hasn't really gone too well and I have a lot of half-finished word documents but it did persuade me to pick up a pen and write. This is a more recent one. I read this at the start of last year. I'd started college and I was slowly being introduced to the world of feminism. I weirdly think I've always kind of been one so when I learnt more about it I just was like "HELL YES FEMINISM". But while I was learning the facts of feminism I'd not heard anyone else really talk about it until I read this. Not only a great book but one that incorporated feminism in such a way for younger readers to really understand what it was all about and how it affects them. It was a great introduction to feminism in writing- a topic I want to explore further on my blog. This was the book that made me fall in love with reading. I read this book when I was only 14. Then, I was too young to fully appreciate it but I still loved it; Holden Caulfield was a character I could relate in an obscure and indirect way. Some of the ideas he spoke of remained with me. 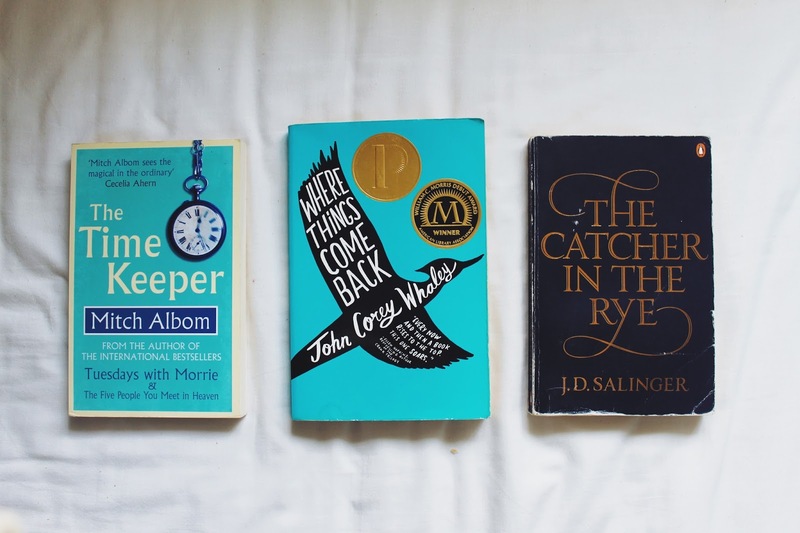 When I went to college, my English teacher told me that your opinions on certain books will change through different stages of your life and used this as an example; how, if read as a teenager, you relate and agree with angsty, misunderstood Holden but as you get older you may see him as nothing more than an annoying spoilt teenager. With this book, I can't seem to pinpoint exactly how it altered my life but I know that Salinger's words have had a lasting impact on me since reading rereading this book. What books do you feel have impacted your life? I'd love to know!